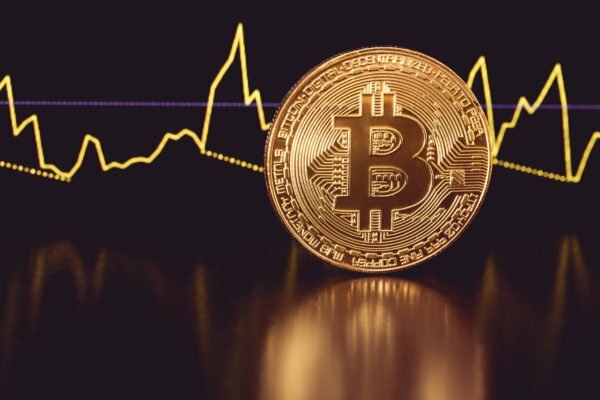 After experiencing increased levels of volatility last week, Bitcoin (BTC) endured the weekend without any major price moves and has so far experienced a relatively involatile Monday. Recently, Bitcoin entered its longest-ever bear market, and investors and analysts alike are keen on speculating on when it will finally reach a price point with enough buying pressure to reverse its current trend. According to one prominent cryptocurrency analyst, Bitcoin is now nearing its seventh major triangle formation since its crash first began in late-2017, which means it could shortly see increased levels of volatility. At the time of writing, Bitcoin (BTC) is trading down marginally at its current price of $3,460. Over the past week, BTC has established $3,400 as a level of support, but it has failed to break above $3,500, making this price its nearest resistance level. In a recent email from Mati Greenspan, the senior market analyst at eToro, he noted that Bitcoin is now in its longest-ever bear market, but it has not yet fallen enough for the recent crash to be the largest – by percentage – that Bitcoin has seen in its relatively short history. “From December 2017 until today bitcoin has dropped a total of 82% from peak to trough, making a total stretch of 413 days without any indication of a turnaround. It should be noted though that even though this is the longest stretch, it’s not the deepest. The five-month bear of 2011 saw a drawdown of 93% and the crypto winter from the end of 2013 to the beginning of 2015 saw a total drawdown of 86%,” he explained. Furthemore, Greenspan also noted that Bitcoin has established six different wedges since it touched nearly-$20,000, four of which have broken to the downside. He further explained that Bitcoin is nearing the end of its seventh wedge, which could mean further downside is in store for the embattled cryptocurrency. “With $5,500 (blue line) as the base, we’ve seen six different wedges, four of which have broken to the downside. Now that the blue line is broken, we’ve moved the support level to $3,000 and we can see that we’re now coming to the seventh wedge,” he explained while referencing the below chart. If the triangle pattern that Greenspan highlighted does continue to repeat itself, BTC will likely see increased levels of volatility in the near-future. Analysts concur that Bitcoin will soon see increased volatility. Josh Rager, a popular cryptocurrency analyst on Twitter, offered his followers a cautiously bearish assessment of BTC’s current price action, noting that the current lack of volume and possible bear flag formation could mean a drop is going to occur at some point this week. “$BTC Still consolidating in a channel – possible bear flag for a continuation down Volume isn’t great – hoping to see some volatility this week,” Rager explained. Assuming that Bitcoin’s trading volume increases over the coming week, traders will likely get a better idea of whether or not Bitcoin is going to revisit its yearly-lows around $3,200 or climb higher to recover some of its recent losses. The post As Bitcoin Enters its Longest-Ever Bear Market, Analysts Expect BTC to Make a Large Move in Near-Future appeared first on NewsBTC.